AFF is regulated by the Office of Immigration Services Commissioner (OISC). The OISC is responsible for regulating immigration advisers by ensuring they are fit and competent and act in the best interest of their clients. AFF complies with all current OISC regulations. This letter outlines the commitment we have to our clients each time we take a case on. The Army Families Federation is regulated by the Office of the Immigration Services Commissioner (OISC). The following personnel are authorised to provide immigration advice and services at the levels listed below. Other AFF staff are not authorised and are therefore only able to pass on information from the authorised advisor or signpost to the website for further information. AFF will only take on cases/enquiries from serving military personnel or their families. We will also assist veterans and their families who are still under the Armed Forces Immigration Rules. She will not advise on enquiries relating to student or work visas as these are outside the scope of the AFF. Katherine is unable to represent clients at the Immigration Tribunal or make applications for Judicial Review. Should the case require work to be undertaken which is outside the work permitted, you will be referred or signposted to a higher level adviser within 3 days. AFF is committed to giving people timely service from an appropriate source as soon as possible, if necessary by signposting or referral. Enquiries from veterans may need to be signposted to Veterans Aid depending on the level of service required and the length of time since discharge. Katherine will consult with Veterans Aid to find out if they can take the case on. If this is not possible, Katherine will assist with finding a suitable local advisor. Enquiries relating to specific areas of law not provided by Katherine will be signposted to a suitable local advisor. Enquiries beyond Level 2 advice will be signposted to a suitable local advisor. Katherine may recommend a suitable adviser but, the decision whether to choose that adviser will remain with the client. arrange for the transfer of the client’s file with the client’s consent. It may be necessary to seek additional advice or opinions on some cases, this will be done only with consent and with no charge being incurred. All action taken will be documented on the clients file. AFF is a registered charity and does not take any payment for any advice or information given. It is AFF policy to retain complete confidentiality unless the individual concerned gives permission for disclosure, except in extreme circumstances. All information about individuals, which is recorded in any way, is kept secure. All conversations on the phone are conducted privately. You will receive regular updates on the progress of the case and we will always try to keep you informed of any unexpected delays to the work. You may ask Katherine at any time for a progress report using the contact details given to you. If at any stage you have any concerns regarding the conduct of your case, please raise them to Katherine or to Louise Simpson, the Policy and Research Director, preferably in writing. Please let me know if you would like full details of our complaints procedure. If we are unable to resolve matters to your satisfaction or you wish to pursue your complaint through other channels, you are entitled to contact the OISC at any time. The OISC is the public body, which regulates immigration advice and services within the UK. Their address is: The Office of the Immigration Services Commissioner, 5th Floor, Counting House, 53 Tooley Street, London, SE1 2QN. The OISC requires us to keep a copy of your case file for up to 6 years after your case is closed. After that this maybe destroyed, unless you make arrangements to collect it from us thereafter. Unless you specifically tell us otherwise, your file may be reviewed by the OISC in the course of their duties. If you have any concerns about this, please discuss this with me. This document explains how the Army Families Federation will accept, record, investigate and resolve complaints made about its services. The Army Families Federation aims to provide all its clients with the highest standards of service and client care. If we fail to provide this to you, we need you to inform us so we can try to resolve any problems. We will also learn from them so that we can improve our service. 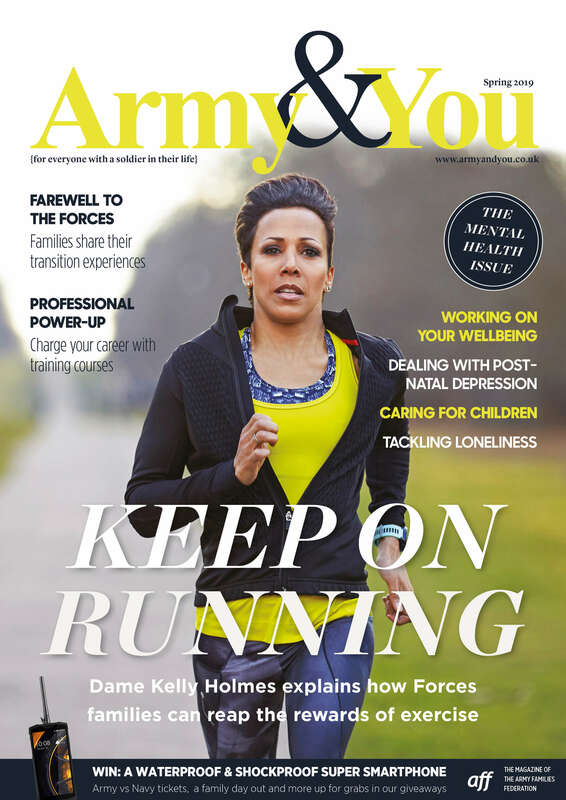 The Army Families Federation will always try to provide you with an opportunity to tell us of your concerns and will work with you to try to resolve them. If you are not satisfied with any aspect of our service you may initially want to discuss this with the Foreign and Commonwealth Specialist, to see if the matter can be resolved quickly. If you have spoken to the F&C Specialist or if you do not wish to discuss your concerns with them, you may wish to make a formal complaint. You can make your complaint either verbally or in writing to Louise Simpson, Policy and Research Director at the telephone number/address above. Louise Simpson will acknowledge your complaint in writing within 5 working days of receiving it. The Army Families Federation will investigate and provide you with a written response to your complaint within 15 working days of our receipt of your complaint. If we have to change the time-scale for any reason, we will let you know and explain why. The Army Families Federation will keep details of your complaint in a central register. We will also create a separate file or section in your case file in order to record details of the complaint, our investigation and the Army Families Federation response to your complaint. Louise Simpson will ask the F&C Specialist to provide their response to your complaint. Louise Simpson will consider the adviser’s response, the information provided in the complaint and any other relevant material (such as the contents of your case file). Louise Simpson will then prepare a written response, which will be sent to you. This response will set out the findings of the complaint investigation as well as any suggestions for resolving the matter. Following the conclusion of the complaint investigation, the problems which the complaint may have identified will be evaluated and the Army Families Federation will look for ways to ensure they are not repeated. If the situation can be resolved, it is expected that you would be able to continue working with the Foreign and Commonwealth Specialist. If it cannot be resolved then you will be referred to another adviser as soon as possible. If you consider taking legal action against the Army Families Federation, we confirm we have Professional Indemnity Insurance to meet any relevant claims. Please note that if you are not satisfied with our response to your complaint or if you do not wish to complain direct to the Army Families Federation, you may at any time complain directly to the Office of the Immigration Services Commissioner (OISC). The OISC is the public body which regulates advisers and audits organisations that provide immigration advice. Complaint forms and details of the complaints scheme are available on their website www.oisc.gov.uk or you can write to them at OISC, 5th Floor, Counting House, 53 Tooley Street, London SE1 2QN.